We have just taken our entire Environmental Quantum GIS (QGIS) training course and offered it free to the internet as Youtube videos for anyone wanting to skill up in using this free and open source desktop mapping software. This also includes the data and training manuals, which can be made available to you if you drop us a line at training@gaiaresources.com.au. Just click on the image below to go to the Youtube channel and get started! You can start with our prerequisite videos that cover how to install the software (version 2.18 is the recommended Long Term Release (LTR) for some time yet) and use our sample data, as well as a quick fire introduction to Geographic Information Systems. After that – or if you are already familiar with those topics – get started on Exercise 1. All the exercises are a mixture of visuals with an environmental flavour, and plenty of hands-on exercises so you can follow along. At that introductory level, everything is covered from data management, symbolising, querying, analysis toolsets and map making. This is a core part of what Gaia Resources is all about – our CEO Piers Higgs pretty much says it all in the video prologue below (yes, this is where our blooper reel came from that we posted on Facebook a few weeks ago), but just to double up on a special thank-you to the South Coast NRM Group – and in particular Tilo Massenbauer there from the Project Dieback – for helping to make these videos a reality. 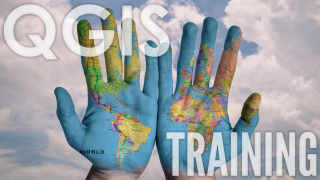 Our custom and classroom style QGIS training courses are still available, and information about those and our online training offerings can be found on our website. We’d really be interested to hear how you prefer to learn how to use software like QGIS – are visuals your thing? Do you prefer the hands-on approach? Or do you like to read from a manual? Drop me a line at chris.roach@gaiaresources.com.au, or drop a line to our general training address at training@gaiaresources.com.au. We’d be keen to hear your feedback on training and what else you would like to see there – so please get in touch via these email addresses or start a conversation with us on our Facebook, Twitter or LinkedIn feeds.